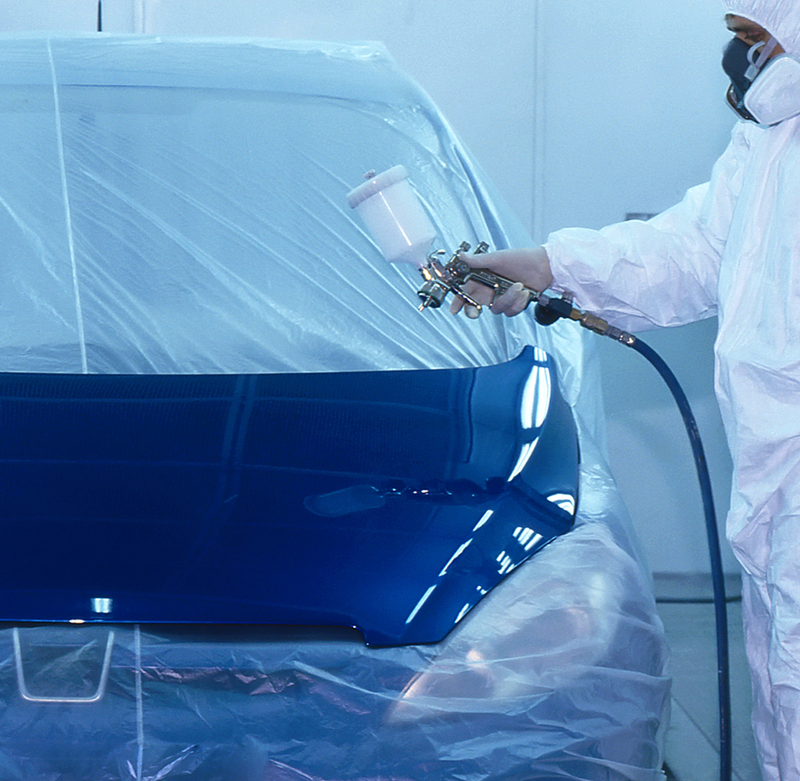 To coat automobile exteriors, making their appearance more attractive. Paint is tested at high shear rates (10,000 -12,000 s-1), to simulate the flow behavior that paints undergo while being sprayed. The test methods that we used were based upon the standard test methods set forth by ASTM D4287 (common standard in North America) which is run at 12,000 s-1, and the standard test methods set forth by ISO2884 and BS3900 (common standards in Europe), which are run at 10,000 s-1. We used a High Torque CAP 2000+L viscometer, with Capcalc software for automated instrument control and data acquisition. We used Cone 01 to achieve on-scale results with 67 μL of fluid sample. The cone and plate were cleaned before dispensing each paint portion. A fresh portion of sample was used for each trial. Three trials were done for each speed. We equilibrated the sample and cone at 25°C for 30 seconds prior to testing. The solvent trap was used to help prevent evaporation. Representative data from the analyses are shown in Figures 1, 2, and 3. Figure 1 shows the data obtained by the standard test method described by ISO 2884 more commonly used in Europe. Figure 2 shows the data obtained by the standard test method described by ASTM D4287 more commonly used in North America. Figure 3 plots Run 1 of Figures 1 and 2. Figure 3 shows that the viscosity obtained in ISO 2884 is slightly higher than ASTM D4287. The slight increase in viscosity over time may be attributed to solvent evaporation from the paint sample.